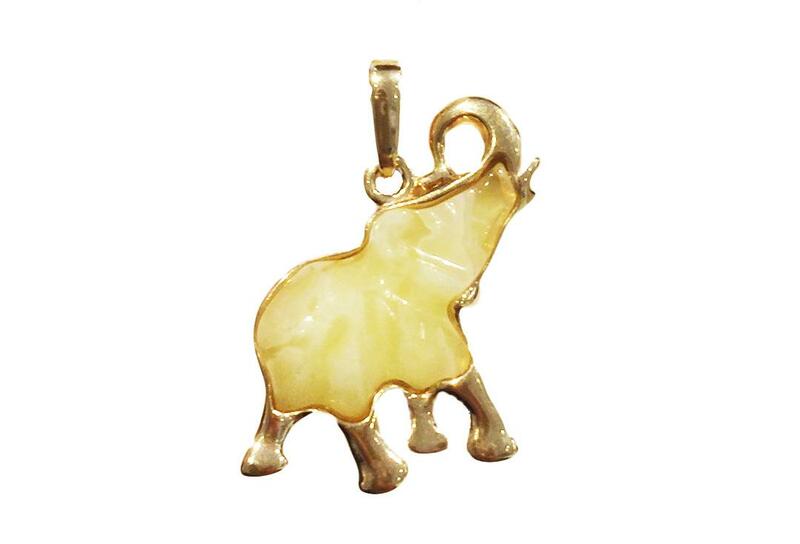 Unique cream amber elephant pendant, featuring an elephant shaped amber piece encase gold. 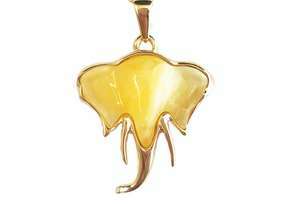 Cream amber is distinguished by its cloudy opaque look. The yellow/orange/brown colour of amber is in fact determined by the number of gas bubbles found within it. The higher the number of bubbles, the lighter the shade of amber is.